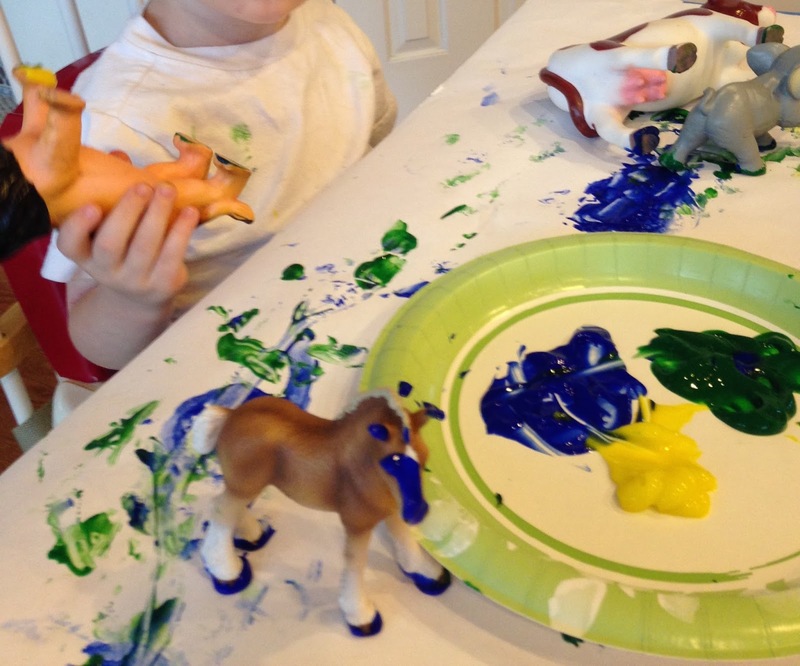 Painting with Animals and Animal Bath Time! A 2 for 1 indoor activity. 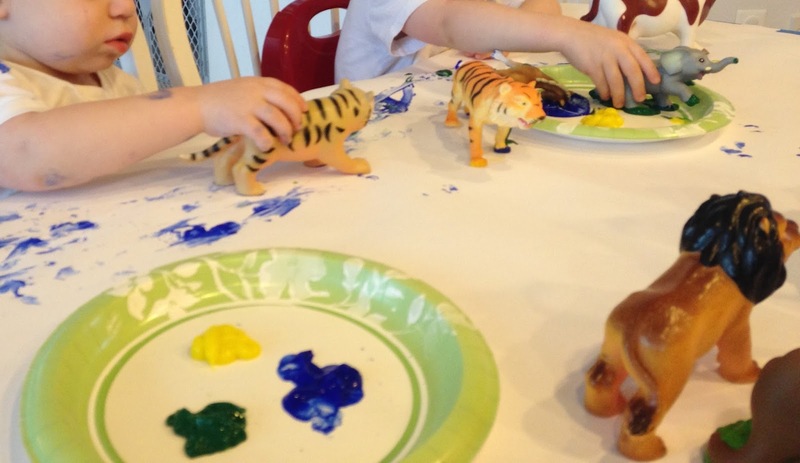 One of my boys is obsessed with his plastic animals, so when I saw this Animal Track Painting activity from No Time For Flash Cards (one of my favorites) I knew we had to try it out. 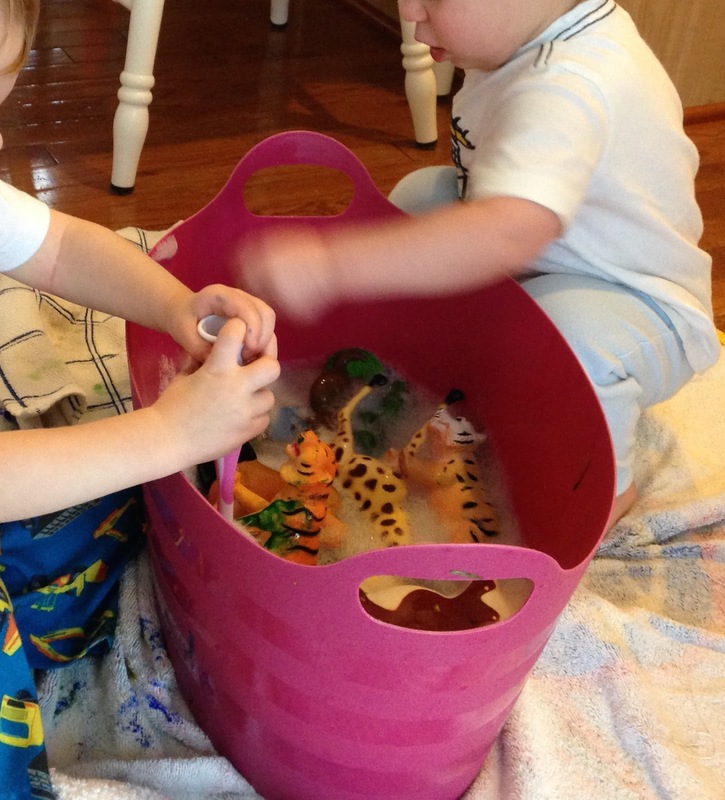 We gave it our own little twist and added some fun indoor water play too. We started at the kitchen table with our big roll paper taped to the table. I use painter's tape to keep things secure. I gave them a few squirts of washable finger paint, some animals, and let them go. We had a great time "making tracks" and talking about all the sounds the animals make as they stomped across the paper. 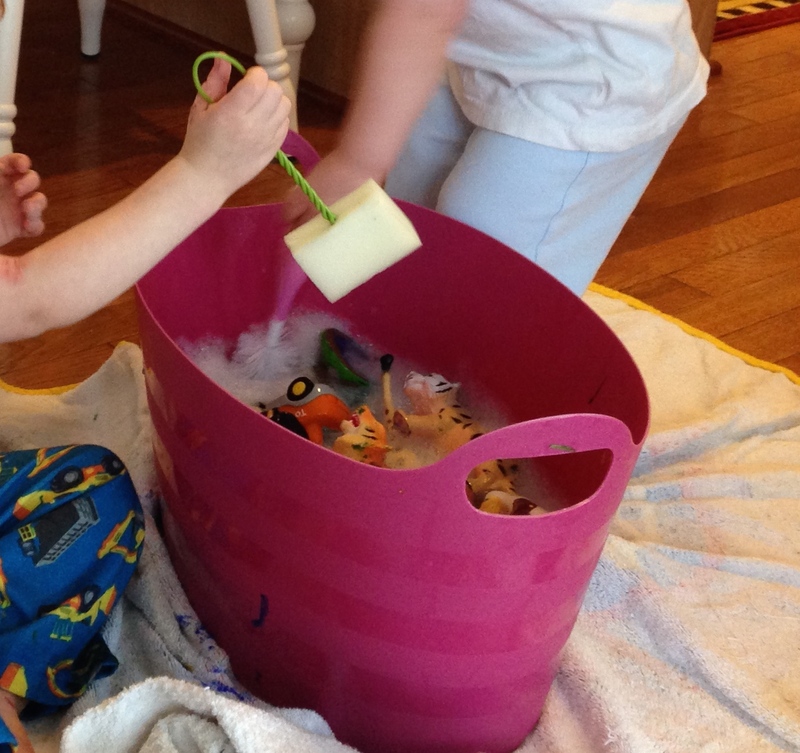 The animals got quite messy, so it was on to part two of our activity... animal bath time! I put some towels down on the floor, filled a tub with soapy water, and we put the animals in for their bath! 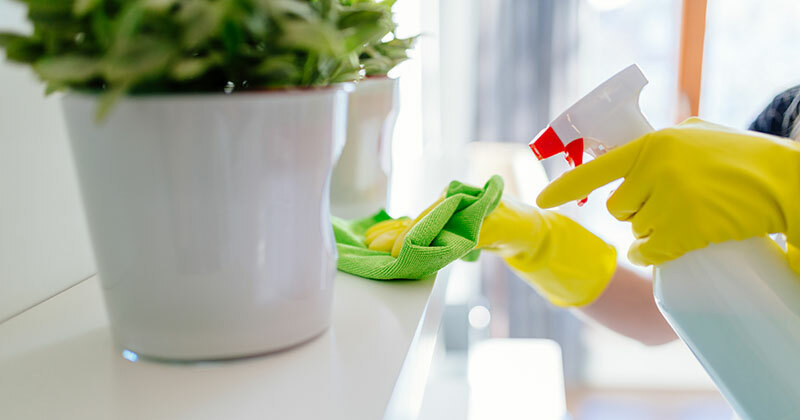 I gave them some sponges (they especially loved using my old baby bottle scrubber) and they went to work getting everyone clean. Rub a dub dub! Things got a little wet but it's just soapy water, and I'm sure my floor needed a cleaning anyway. We had a great time and it was a great activity for a quiet afternoon inside.